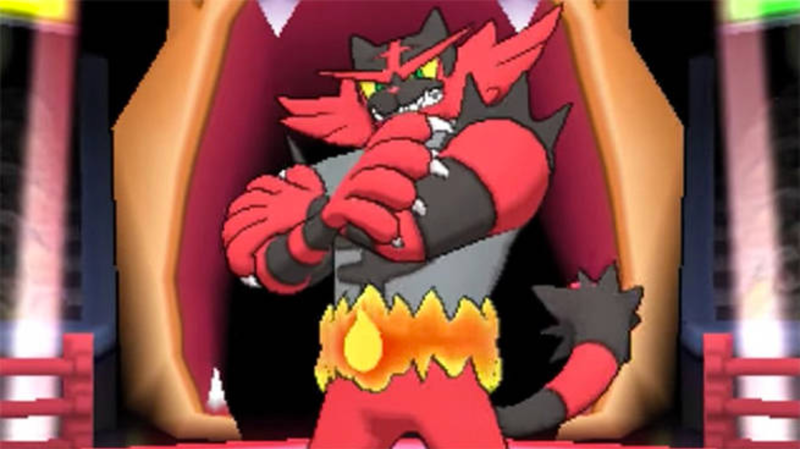 Without a doubt, Incineroar is the most popular Pokémon in the 2019 Sun Series format. As talked about in our September metagame coverage, Incineroar consistently can average 90% usage at Regionals so far which means there's a reason this Pokémon is seeing an insane amount of usage and the goal of this article is to look at what tools Incineroar has that's causing this. Intimidate – "On switch-in, this Pokemon lowers the Attack of adjacent opposing Pokemon by 1 stage. Pokémon behind a substitute is immune." Intimidate is largely to be considered to be very easily the best ability in VGC. Being able to lower a Pokémon's attack stat is important for any physical attacker you're opponent may have. We've seen how any Pokémon with Intimidate such as Landorus-Therian, Arcanine, Salamence, Hitmontop, and Scrafty define the formats their in purely due access to Intimidate. We've also seen how abilities that counter Intimidate such as Competitive from Milotic, Defiant from Braviary and Bisharp, and Contrary and Lurantis also gain usage to hinder the usage of Intimidate. 95 HP / 90 Defense / 90 Sp. Defense is pretty average for bulk, but it allows Incineroar to have just enough bulk to survive key attacks, although most will need to have their attack stat lowered with Intimidate to survive hits or invest a large amount of their EVs to survive hits. 115 Attack is great as it means without investing much in attack, you can still deal a lot of damage. Most Incineroar this season don't invest much in attack, but can still deal some threatening damage. 60 speed isn't amazing but most Incineroar will not invest very much in speed which means it's going to be out-sped a lot. Incineroar's Fire and Dark typing are very solid in the 2019 format. Resistances to Dark, Fire, Ghost, Grass, Ice, and Steel and an immunity to Psychic means it can switch into Pokémon like Yveltal, opposing Incineroar, Lunala, and the myriad of opposing Grass-types means there's Pokémon Incineroar can reliably switch into to. It is weak to Fighting, Ground, Rock, and Water which is unfortunate as opposing Stakataka, Groudon, and Kyogre are a nightmare for Incineroar to fight. Incineroar's moves don't change much from VGC 2018, but the only thing that has changed is the popularity of these moves. Flare Blitz and Knock Off should be expected on virtually every Incineroar you fight, due to how safe they are as your main attacks with Knock Off having the bonus of removing items. Fake Out is great to flinch a target to ideally allow its partner to do their thing in either setting up or trying to KO an opponent's Pokémon. Roar, as you'll learn more about in sample sets, is great to remove a Pokémon that tries to set-up. U-turn is great to allow you to switch out in the middle of the turn to have a strong advantage the next turn. Protect is great to buy turns for Incineroar. Snarl is great to lower your opponent's Sp. Attack stat and take various special hits better. The final move in Low Kick is great for heavier Pokémon like Groudon and Kyogre or hit Pokémon that are weak to it like Stakataka. Like its moves, Incineroar's item options haven't changed much. Figy Berry is great for the recovery. Being able to take survive a big hit and regain 50% health is very helpful for Incineroar. Passho Berry is nice to survive a big Water-type move, mainly from Kyogre and try to do something else. Assault Vest is nice to take big special hits much better. Things like boosted Xereneas' Moonblast and Kyogre's rain-boosted hits are much easier for the Assault Vest to accomplish with Incineroar. The final item in Safety Googles is mainly meant to deal with Amoonguss and Smeargle. Being able to simply not care about Spore and Rage Powder is amazing. Keep in mind that some Smeargle are running Lovely Kiss which can put you to sleep which is annoying. The first set is a more specially defensive Incineroar. The goal of this one is to survive big special hits so Incineroar can do its job. Flare Blitz and Knock Off are your go-to damage option as talked about above and Fake Out is great to flinch your opponent to allow its partner to do its job. The final slot in Roar is notable for the removing the many Pokémon that like to set-up like Xerneas' Geomancy, Groudon's Swords Dance, and Lunala's Calm Mind to name a few. The EV Spread is the most popular one you will find on Incineroar because of the Sp. Defense benchmark which it allows Incineroar to survive Moonblast from +2 Timid Xerneas. If it's a Modest nature, Incineroar will not survive so you will have to be at full health and hope they aren't a Modest nature. The speed is leftover with the goal of getting the faster Fake Out than your opponent for the most part after throwing 4 EVs in both Attack and Defense. This Incineroar was used by Willem Geurts (@AbsurdityVGC) to finish Top 8 at Frankfurt Regionals. While the moves haven't changed at all outside of the addition of U-turn which is great for being able to switch in the middle of the turn to have an advantage the very next turn. This is very helpful for Incineroar and its team since any team would appreciate having this option. While in his team report Willem didn't state the major damage calc, the more notable ones include being able to survive +2 Timid Xerneas' Moonblast and he did put a damage calc that says his Incineroar only takes 30-36% from Modest Kyogre's full health Water Spout in the Sun. Incineroar supports Xerneas very well. Fake Out means Xerneas is able to easily use Geomancy and its Intimidate ability can help Xerneas take big physical hits like Stakataka's Gyro Ball and Groudon's Precipice Blades. Incineroar can also threaten Steel-types like Ferrothorn and Solgaleo for super-effective damage. Incineroar's Fire-type moves help Groudon and Kyogre since it can hit the Grass-types like Tsareena and Ferrothorn that both Groudon and Kyogre are weak to. This can greatly help these 2 Pokémon do their job. Keep in mind that Ludicolo is annoying for these 3 Pokémon as it can hit all of them for super-effective damage. As Incineroar is weak to Water-type moves, these 4 are the most common and scary ones. Kyogre can use its Rain-boosted Water-type moves to easily OHKO any non-Passho berry variants, Ludicolo is common on Rain teams and can use a rain-boosted Scald or Hydro Pump to threaten Incineroar. Palkia's Hydro Pump can deal a large amount of damage and although Tapu Fini doesn't always run Water-type moves right now, the ones that will threaten it with Scald or Muddy Water but it does enjoy being immune to both Fire and Dark-type moves. Incineroar is also weak to Ground types which means Groudon can threaten with super-effective damage. Although Incineroar can Intimidate Groudon to survive a -1 Precipice Blades, some Groudon that choose to use a Choice Band which can KO Incineroar even through Intimidate. Incineroar's final major weakness in 2019 is to Rock-type moves thanks to Stakataka on the physical side thanks to Rock Slide and Nihilego on the special side thanks to Power Gem. Thanks for reading! Follow us on twitter @NimbasaCityPost for updates on VGC content on the website!